John Popper, born March 29, 1967 in Cleveland, OH, is an American musician and songwriter. 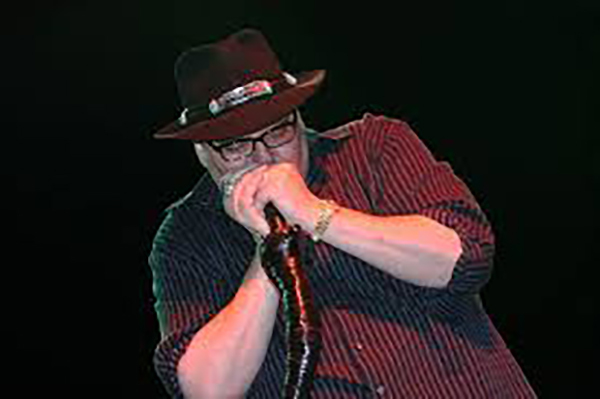 He is most famous for his role as front man of the rock band Blues Traveler performing harmonica, guitar and vocals. He is widely considered a harmonica virtuoso, and is listed by harmonica manufacturer Hohner as a “Featured Artist” an accolade reserved for only the best and most successful players. Also a prolific songwriter, he has composed the majority of the lyrics and music of Blues Traveler’s songs. Blues Traveler built a large following with its extensive touring, sometimes performing over 300 dates a year, and first gained a reputation in the jam band scene of the 1990s. They crossed over into mainstream pop/rock radio success with their 1994 album “four”, which garnered the group extensive media exposure. They received the Grammy Award for Best Rock Performance by a Duo or Group with Vocal in 1996 for “Run-Around”, a song that Popper composed. In 1990, Popper began to perform as a solo artist in addition to touring with Blues Traveler. Several songs that originated as Popper’s solo pieces have become part of Blues Traveler’s repertoire, and vice versa. Popper has co-written songs with Trey Anastasio, Warren Haynes, Chris Barron, and Jonny Lang. He also frequently appears as a guest performer with musicians both famous and obscure, from a diverse variety of genres. He has performed with, among others, jam bands Spin Doctors, Dave Matthews Band, Phish and most recently, The Allman Brothers Band; bluesmen Eric Clapton and B.B. King; singer-songwriters Jason Mraz and John Mayer. Popper has toured with the USO, both with Blues Traveler and solo.